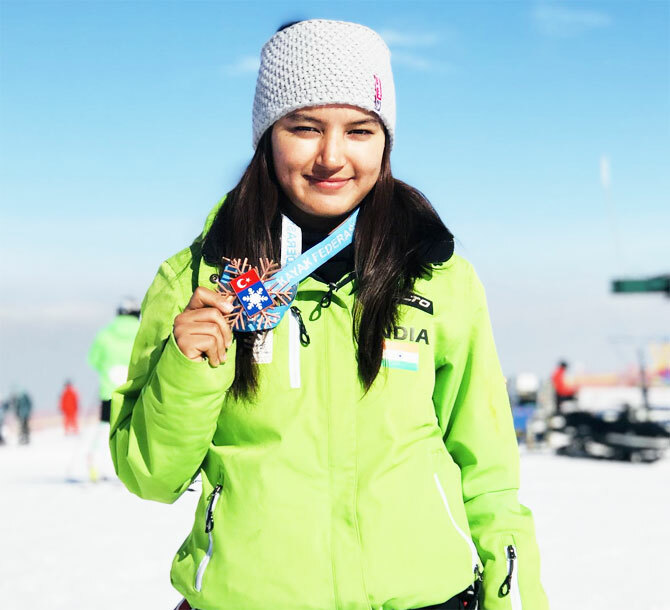 Aanchal Thakur has just one wish after becoming the first Indian to win an international medal in skiing -- an end to the government's apathetic attitude towards winter sports. The response to her bronze medal winning performance in Turkey has been overwhelming to say the least. She still can't believe that none other than Prime Minister Narendra Modi congratulated her on the achievement in a sport that usually begs for attention. "I never thought the Prime Minister would tweet for me. It is unreal. I just hope we are finally treated at par with athletes of popular sports. 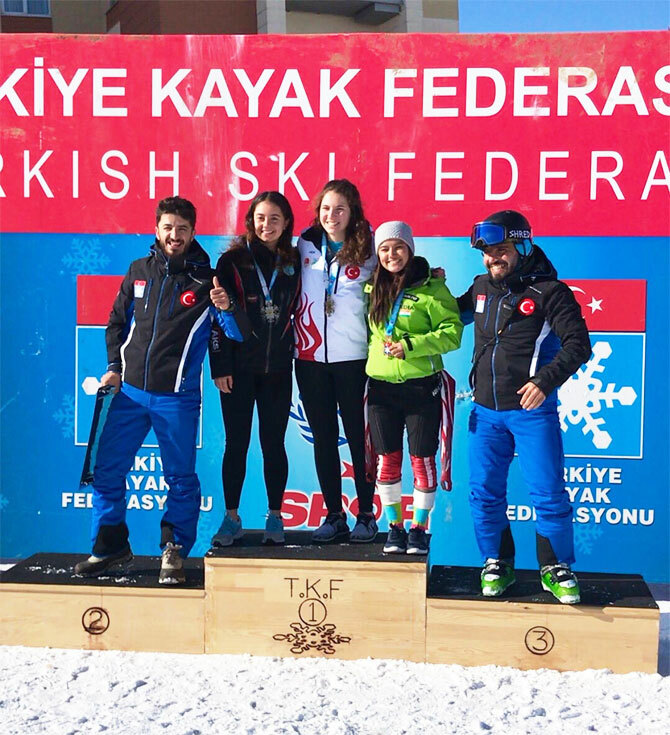 As of now, there has been no support whatsoever from the government," Aanchal told PTI from Turkey where she secured the bronze in Alpine Ejder 3200 Cup organised by the Federation Internationale de Ski (FIS). "I just want to say that we too are fighting, working hard, day in and day out for India," she said. Skiing runs in her blood but it has not been an easy ride thus far for the 21-year-old, who is a student of DAVCollege in Chandigarh. Her father Roshan Thakur, who happens to be the secretary at the Winter Games Federation of India, always loved skiing and therefore it was natural for his children, Aanchal and Himanshu, to pick up the sport at an early age. While Aanchal has grabbed attention now, her brother, Himanshu, also an alpine skier, competed in the Sochi Winter Olympics alongside luger Shiva Keshavan. Aanchal says if it was not for the efforts of her father, there was no way she could have pursued skiing. "I have been skiing in Europe since I was in seventh grade. Papa always wanted me to ski and he has been spending out of his pocket all this while. Without any government help, you can imagine how much he has spent on me and my brother. "What makes it more challenging for us is that it doesn't snow in India for the major part of the year, so we have to go out and train," she says. Roshan adds that existing skiing venues in India, at Gulmarg and Auli, are the only world-class during competitions and are not looked after well otherwise. "The Europeans get to train 10 months in a year where our athletes can do two months at the max, considering the huge cost involved in training overseas," says Roshan, who owns apple orchards in Manali. The equipment, comprising ski, boots and clothing too is expensive and costs around Rs 4-5 lakh, says Aanchal. With a historic medal in the bag, the next target for this wushu player-turned skier is the qualification mark for the Winter Olympics to be held in Pyeongchang, South Korea next month. While her brother Himanshu is closer to the qualification mark, making the Winter Games cut seems unlikely for Aanchal. "To qualify, we need to score less than 140 points in five races and I have not been able to do that even in one race. Yesterday was a very challenging course and even the gold winner could not qualify for Olympics with her scored being more than 140." With the cut-off date being January 21, Aanchal is racing against time. "My brother is in Iceland for an event so I am going to go there as well. Then there is a race in Iran and Pakistan. I have to see if I can get the visa for that. So, the this Winter Games looks unlikely for me but I have already set my sight on 2022. "We need to start preparing for that now and hopefully we will get the much needed government support," says Aanchal. The fact that Winter Games Federation of India is not recognised by the Sports Ministry also doesn't help their case. Should India pick Rahane and Rahul for 2nd Test? Is BCCI's reluctance blocking cricket's Olympics chances?